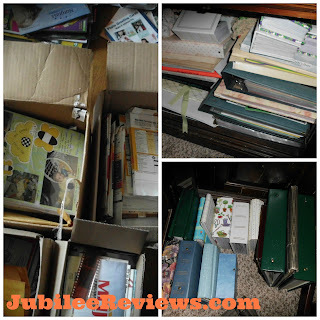 Remember my post not long ago about struggling to get my pictures organized Organizing Old Fashioned Photos? That led to conversations about organizing and saving my digital photos as well. 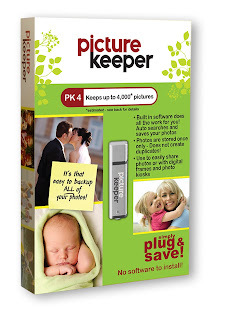 I am so excited to share with you Picture Keeper! This small tool works for PC and MAC and stores more than a ton of pictures! I have the PK 4 and it can store up to 4000 pictures from my computer. Such wonderful news as my main PC is getting older and starting to loose it's grip on working. I thought I would have to burn a disc of all of the pictures to preserve them. 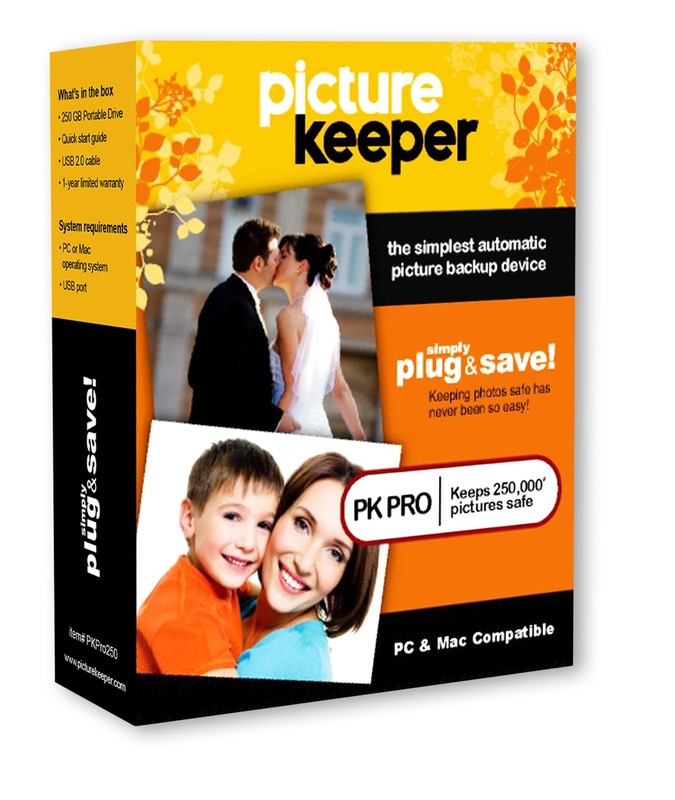 Not at all, the Picture Keeper device has built in software to auto search and save my photos. 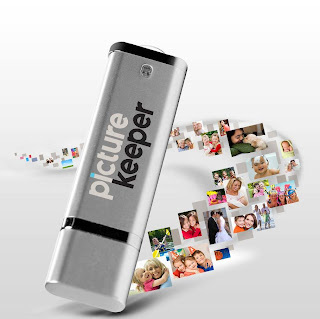 This is the easiest, safest way to preserve those digital memories! Keeps up to ~4000* pictures safe! Keeps up to ~8000* pictures safe! Keeps up to ~16,000* pictures safe! Sizes for all your needs! The tricky part for me will be to find a super safe place for my Picture Keeper to not lose it! I think I better clue the family in on where I put it for safe keeping. The Picture Keeper is so easy to use. You do not need to know a lot about computers, which comes in so handy. I was going to have one of the kids work on saving the pictures on the PC. I was able to do it myself without having to bother the techy gurus. 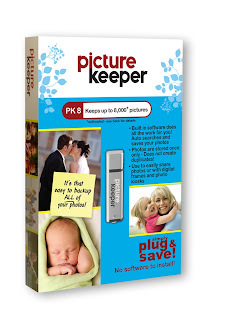 After you fill up one Picture Keeper, purchase a 2nd and it fills up from where you left off! 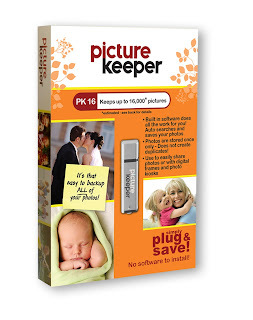 and get started saving those memories! I upload them to a photo sharing website, and when I remember (which is a few times a year) I back them up on a cd. Some our on my computer and some are in photo boxes. Our photos are stored on our computer and on CDs. My photos are currently stored on the computer. Right now all of my pictures are stored in a clear tote. I had some all over the house but I finally got them all in the tote. I have them on my computer. I currently store the photos in a harddrive. I'd love to try this one. I store them on my computer! Some our on my computer and some are in photo albums. Actually I just moved all the photos on my lap top and cell phone to DropBox. Thanks for the giveaway.